Best and Worst Movie Posters? Yahoo just came out with their list of the Best and Worst Movie Posters for the upcoming summer movie season. 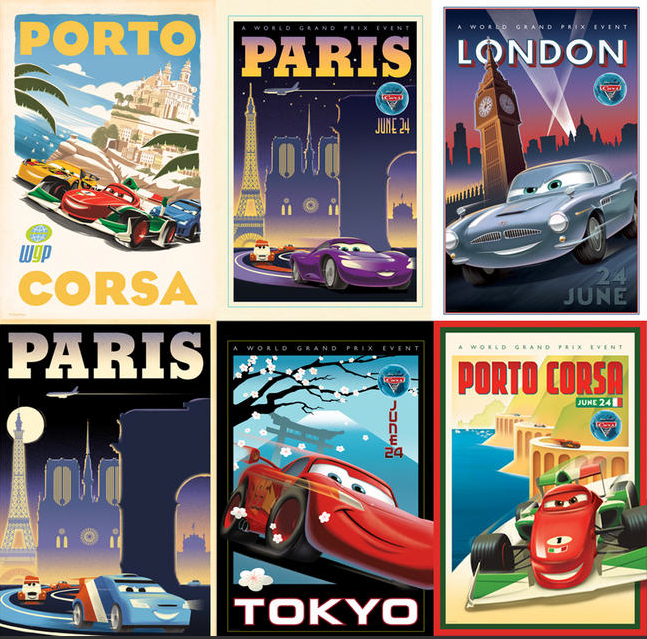 And though I don’t agree with some of their choices (in either category) — I did like this set of international travel posters for Cars 2. This entry was posted in 2000s posters, Movie Poster Smackdown, Pop Culture, Sci-Fi movie posters and tagged best and worst movie posters 2011, bridesmaids, cars 2, tree of life, yahoo by russ. Bookmark the permalink.